Lemon Dove ( http://lemondove.com/ ) is a free web mail client for Google Mail, Hotmail/Live Mail, Yahoo! Mail, AOL/AIM Mail and other mail providers that support POP/IMAP & SMTP. In case these mail services are blocked by your network firewall in office, you still can access to your mails by using Lemon Dove. Lemon Dove is designed to be used anywhere, Windows/Linux PC, Mac, home or office behind firewall. 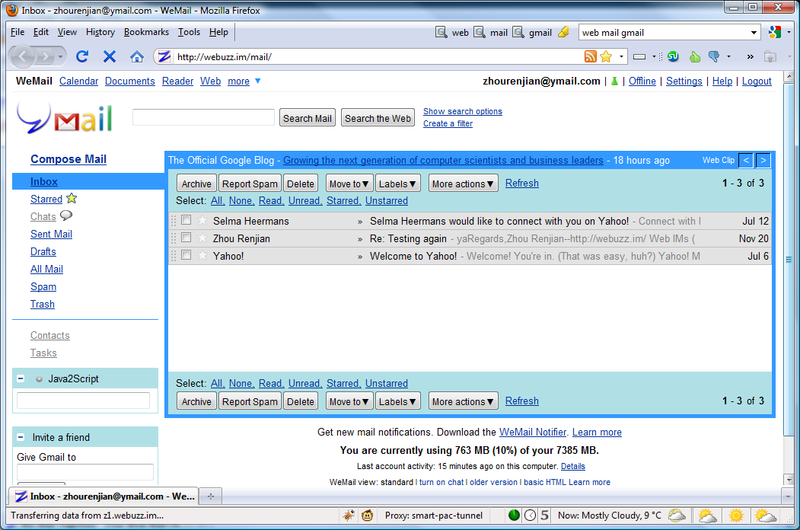 Lemon Dove uses similar Gmail UI, so those Gmail users should feel much comfortable. Lemon Dove team is dedicating to build web mail client services with better security, accessibility and user experience. Enabling Gmail's IMAP will give you a faster Gmail accessing. Without IMAP being enabled, we will connect to your Gmail by POP3 protocol, but result in disabling lots of Gmail features. Please enable Gmail's IMAP by "Log into the official Gmail website -> "Settings" -> Forwarding and POP/IMAP -> IMAP Access: Enable IMAP". We have about 2 years of experience on operating web mail client services. We also have years of experience on operating web messenger services. We also join in several other open source projects. We keep improving existed features and adding more new features to our products. Most of our users are office workers or college students, aging between 20 ~ 35. Usually users will spend about serveral hours on our web mail client. And maybe a good chair, a good pen or a good case help them get a better work flow. Our users like to learn new mobile phones or tablets, like iPhone 4 / iPad 2, Android's HTC/Motorola/Samsung phone, Google Chromebook. Our users also would like to learn information about latest camera or recorder products from Canon, Nikon and others. Our users may also be intrested in new TV, speaker and other home electronical products.